Open-Faced Prime Rib Sandwiches are the perfect way to use up the leftovers from my previous post’s Date Night Prime Rib. 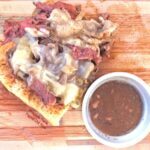 Caramelized onions and melty provolone cheese top thinly sliced prime rib on a hoagie roll. Phil and I have taken to making a tiny prime rib roast for the occasional, extra-special date night. I have to admit: the purpose of doing this is mostly to have leftovers for these AWESOME open-faced prime rib sandwiches. If you’re making prime rib for Christmas Dinner, keep this recipe in the holster for the leftovers! The hubster talked me into buying a meat slicer, which I was firmly against. After all, a meat slice is a space-eating “unitasker”. But then I realized that it quickly paid for itself, and that we’re saving a ton of money by not buying pre-sliced meat or cheese. I’m a reluctant convert. ESPECIALLY when Phil sliced our coveted prime rib into thin, gorgeous slices of medium-rare perfection. This is the meat slicer we bought. However, you can get away with not having one. To slice the meat as thinly as possible, freeze your leftover prime rib for about a half hour. Then use a sharp chef’s knife to carefully cut the semi-frozen meat into thin slices (it’s easier to thinly slice meat when it’s a bit firmer). Caramelized onion is wonderful with open-faced prime rib sandwiches. So I thinly slice some sweet Vidalia onion and sautée until it’s just beginning to turn golden-brown. Then, I add in the sliced prime rib, quickly sautée, and top with provolone slices. Finally, I lid the skillet to let the cheese melt, and then it’s go time. To serve, I just place a spatula-full of the cheese, meat, and onion mixture on top of a toasted hoagie roll. Leftover au jus from Date Night Prime Rib is perfect for serving. 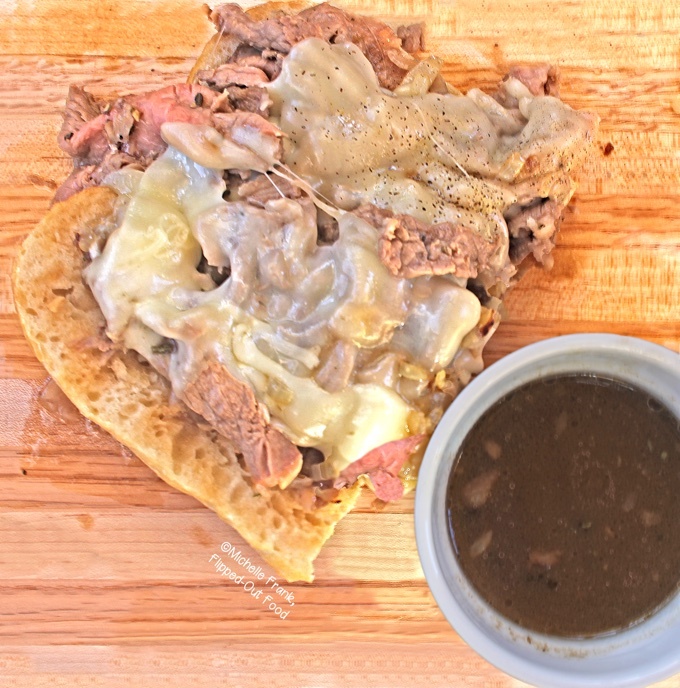 After all, these open-faced prime rib sandwiches are fabulous for eating with a knife and fork, dipping each bite in the au jus. If you don’t have au jus, you could also mix a tiny bit of horseradish with a 1:1 mix of mayonnaise and sour cream, and slather that on the hoagie roll. And there you have it! A not-fit-for Foodgawker mess of some of the most awesome comfort food/pub food EVER. I hope you love it! P.S. If you need more inspiration for using up your leftovers, pop over and check out the easy dinner ideas in my article, Using up Leftovers! Open-Faced Prime Rib Sandwiches are the perfect way to use up leftover prime rib, which I always have on hand after holiday dinners—and the occasional date night prime rib. Although I give a ballpark range of the amount of meat to use, feel free to use more if you like 'em piled high! Heat the olive oil in a skillet over medium-high heat. Add the onion and sauté until light, golden-brown, about 8–10 minutes. Mix in the sliced prime rib: stir and fry for 30 seconds. Reduce heat to medium-low. Top the meat and onion mixture with the sliced provolone. Lid the skillet to allow the cheese to melt, 2–4 minutes. Load up a spatula with half of the cheese, meat, and onion mixture and slide evenly onto both halves of the roll. Sprinkle with freshly ground black pepper and serve with leftover au jus (if using). If you like your sandwiches piled high, you'll want to use more! 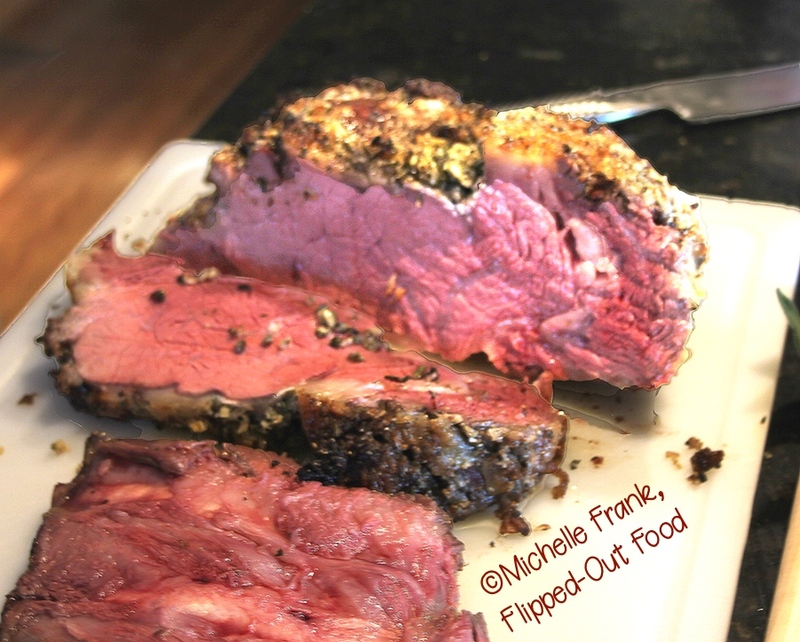 Here's the recipe for Date Night Prime Rib. Spread about 1 tbsp of the sauce over both halves of the hoagie roll before topping with the meat mixture. Date Night Prime Rib: A small roast provides 2 giant servings for a romantic Date Night or Valentine’s Day dinner, plus plenty of leftovers to slice up thinly for prime rib sandwiches. Easily adaptable to larger roasts to feed a crowd. 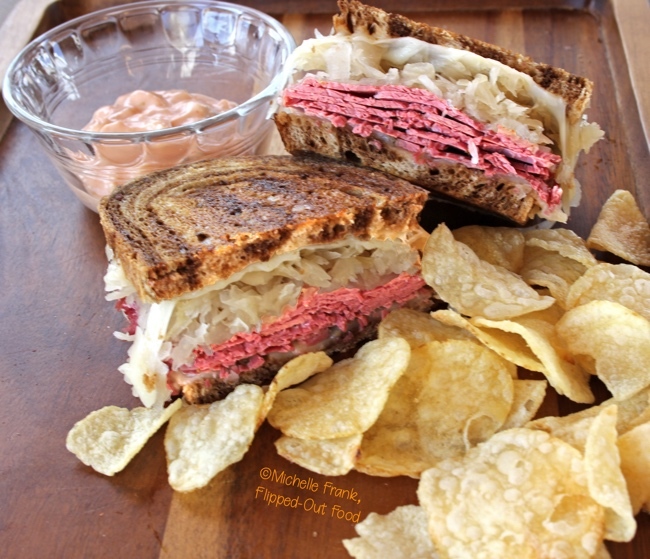 Best-ever Reuben Sandwiches: Reuben sandwiches are practically mandatory in my house after the requisite Corned Beef-fest on St. Paddy’s day. They’re easy to put together and oh-so-melty-good. 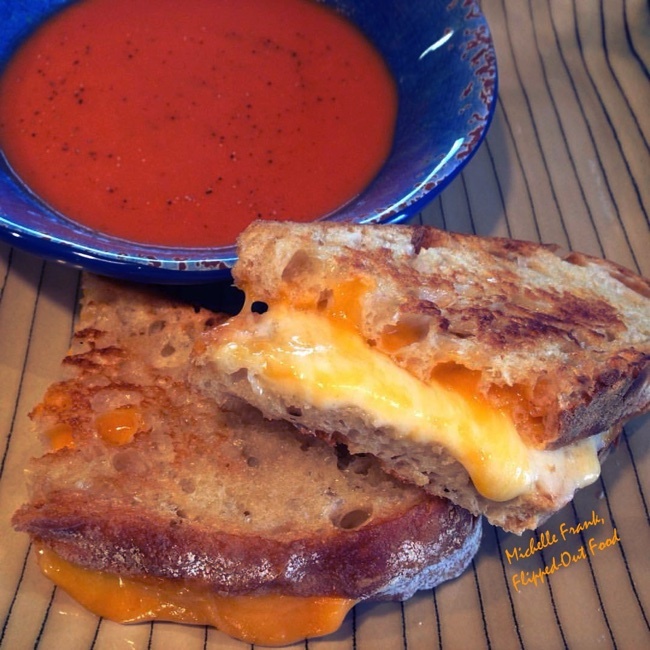 Grilled Cheese Sandwiches: This method for making grilled cheese sandwiches ensures that the inside is ooey-gooey melty, while the outside is golden and crispy. Oh stop it! This looks so delicious! Wowsers these look incredibly good.Just my sort of left over food…..I agree sometimes the leftovers can be as good as the real thing…..feeling ravenous now! Thanks, Corina!! Yes, the leftovers are the BEST!